From my cuttings an amusing 'Lucky 7' story which also includes coincidences. I believe it was first published in the Daily Mail a while back and was from a Bob Hunt, England. Back in December 2002, I suffered a severe heart attack and was admitted to hospital. The following month I ended up at London's Royal Brompton for a major operation which, thanks to the staff, was a great success. The cardiac surgeon told me the procedure would add seven years to my life. It took seven weeks to recover and get back to normal lifestyle. I am now in my last year of a seven year period! Not long after the op, my eldest son, Stewart said, "Dad, as you have had a bad time this year and have been a perfect patient, I would like to give you a present." He went on, "I'll get your name in every daily newspaper in the UK at the same time." I was intrigued and asked, "Would I have to murder someone?" My son laughed and told me to wait and see. 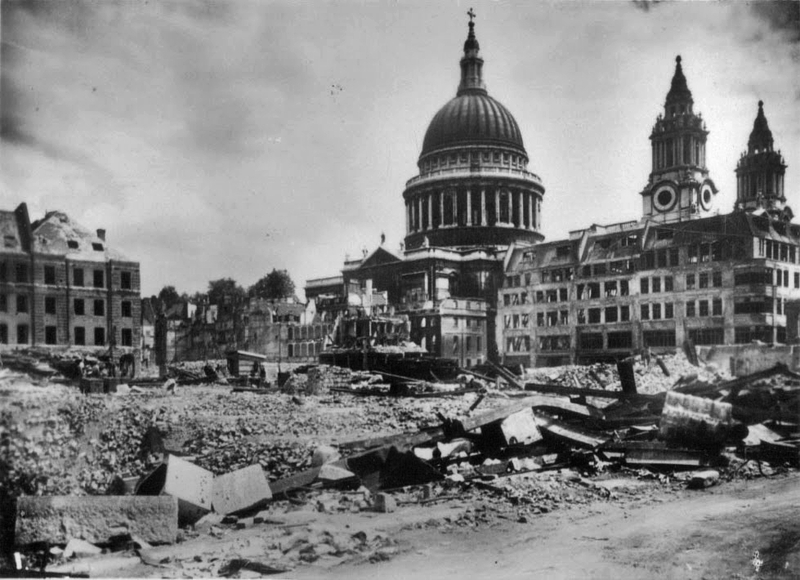 He then asked, "When are you and Mum going to Norfolk on holiday this year?" I told him we'd be going in the first week of July [the seventh month]. Unknown to me, he contacted Great Yarmouth racecourse and paid £1000 to have a race named The Bob Hunt Family And Friends Condition Stakes (Class C), to be held on July 3, 2003, at 3.35pm. 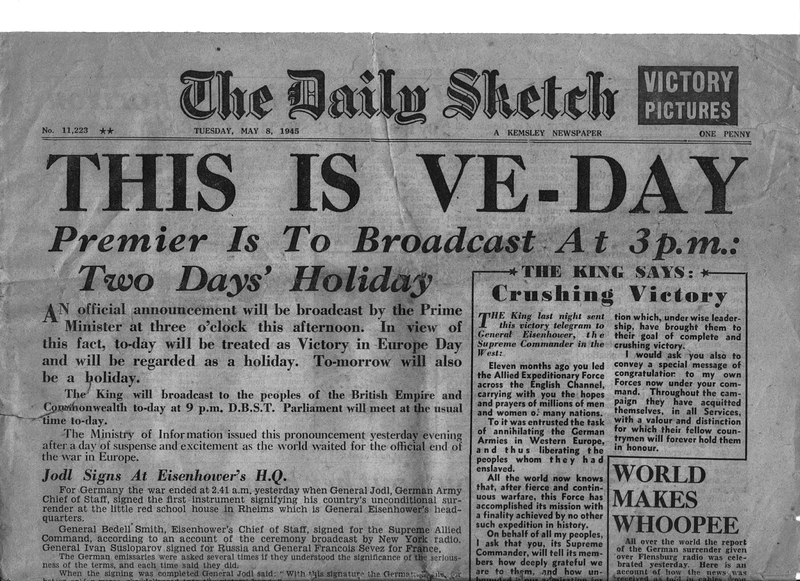 On that day, I came down to breakfast at our hotel and picked up a Daily Mail. Looking through the racing section I saw my name! My son's prediction was true. When we met up, he said, "Dad, what's your lucky number?" I explained, "When playing bingo, the caller always says, "On its own, lucky seven." So as a bingo addict, I suppose that must be my lucky number. # It had been seven months since my heart operation. #The prize money for the horse owner was near on £7,000. #The race was over seven furlongs. #There were seven runners in the race. #The horse I wanted to back, Tarjman, was number seven. #The horse was drawn into stall number seven. #Finally the trainer was a Mr. Stewart, the same name as my son't Christian name. At the racecourse, just before my race, I dashed over with my son to the bookmakers to place our bet (which was now a bigger stake than normal (oh horse number seven). There was a queue and incredibly, there were seven people in front of us! They were quickly dealt with and the bet was on. We anxiously watched the race and, yes! our prediction was right, number seven won. I was then due to present the winning horse's owner with his trophy. With all of the excitement I felt unwell. My son told me not to worry: he and my youngest son would do the honours. 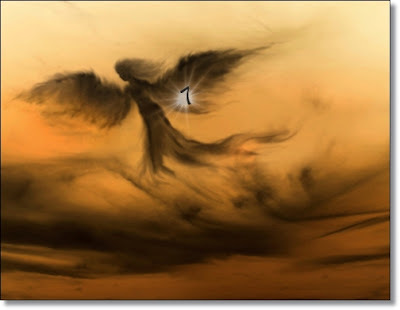 I wondered if my guardian angel had a number seven on her wings. I was in seventh heaven! I hadn't been experiencing many coincidences / synchronicity moments recently - must have been out of sync with the world or something! I decided my wife and I needed a break so we went off to Lanzarote to get some proper sunshine and to switch off from computers and the like. We arrived in the Canary Islands and wondered if we'd made the right choice for our destination. On our first morning we wandered down to the sea front and sat on a public seat. I snapped a photo of the beach and sea and then, for some reason, randomly turned to my right and took a photo of the promenade. I checked the photo and noticed that the woman in the centre of the photo was wearing a t-shirt with a large '76' on the front. 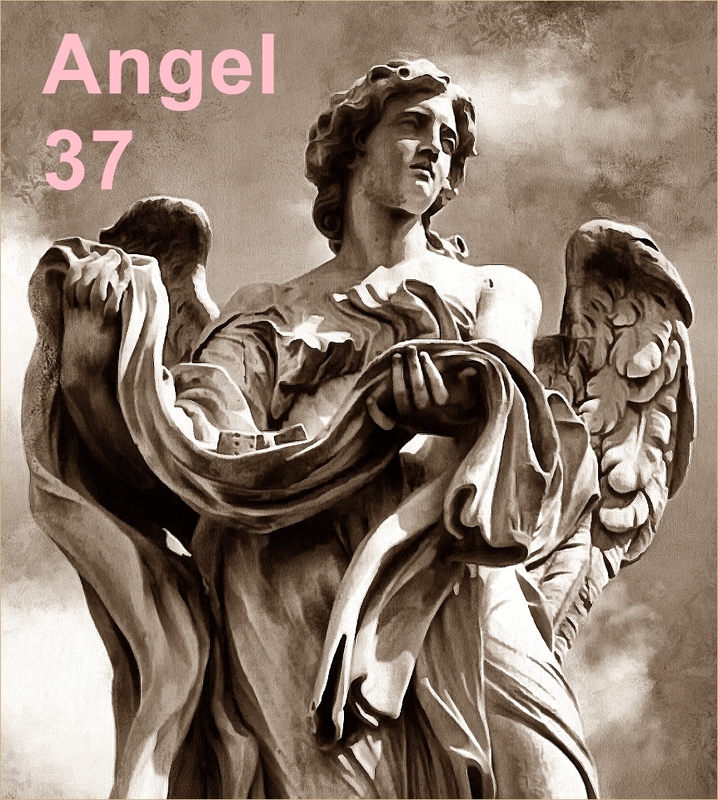 I have written, probably many times, how 76 or 67 has occurred in my life over and over, almost symbolising good things. So I took the t-shirt to be sign that we had made the right choice. Then when we started walking my wife said, "Do you realise that our suite number is also a 76 or a 67?" I hadn't, but our suite was number 4216. So 4+2=6 and 1+6=7. So 67. But also 4+2+1 =7 and the remaining 6 =76. So all was well with Lanzarote! We wandered along the sea front for a few miles and ended up by Arrecife Airport, which is right on the coast. The planes were arriving from the direction of the sea. It was interesting to see them arrive very low above our heads. My wife said, "I wonder when the next plane will be as I'd like to see it land." At that precise moment a couple on bikes stopped next to us and, out of the blue, the man said to us, "Do you want know when the next plane is landing?" We said we did. He got out his phone where he had an app and could tell when the next plane was due, and even had a picture as to what it looked like plus where it had come from. I took the photo below of that expected plane. My wife's question was answered! After this similar 'little' coincidences / synchros seemed to keep popping up over and over. So the break in Lanzarote turned out to be a positive experience. Here's something strange. I woke up with the number 37 in my head and a picture of Google (of all things!) I thought no more about it, until later when I checked my Google Plus account. In the top right hand corner of the page was the number of notifications I had that day and it was ... yes 37! Normally I have more than this, so not a typical number I would have guessed. 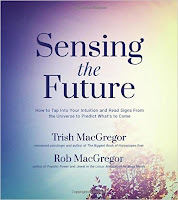 It also amused me because before I went to bed that night I had been reading Trish & Rob MacGregor's book Sensing the Future! So were my early morning thoughts influenced by what I had read?! Had I sensed the future - who knows. So that's nice to know! A few years ago, my daughter asked me: "Mum, what do you want for your birthday?" As I had begun a new career as a freelance writer and was turning my back bedroom into a study, I replied: "Well, a wooden letter rack and a wastepaper basket would be most useful." Later that day, I had to take some household rubbish along to the recycling centre. Staff directed the public to the correct areas - cardboard on the left, garden refuse at the end, metal on the right, all other rubbish to a big bay. There was room for just six cars at a time to deposit their items, so we waited in a lengthy, but orderly, queue. Eventually my turn came, so I pulled up and started to reverse, only to find that the chap behind me, in a noisy red mini, had decided he wasn't going to wait any longer and whizzed in, grabbing the space. He shrugged as I loudly complained, but a few seconds later another opening became available at the other end of the bay. I opened the tailgate to dump my rubbish and turned to see where it could go on this high pile of waste - and could no believe what I saw behind my car. Standing side by side on the concrete parking space, separate from all the other refuse, were a perfect wooden letter rack and a spotless wastepaper basket. The hairs rose on the back of my neck. I picked up the two items and put them in the back of my car to take home. They are still serving me well, but to this day I have no explanation, but something very weird and utterly spooky had happened. Perhaps in life it's a case of 'If you don't ask, you don't get'. I can remember my mother saying something like this to me as a child! I had a form to complete, tried one pen and it didn't work, tried another and that didn't write either. In exasperation I said to my wife, "We must get some more decent pens." She must have had more important things on her mind as she just mumbled, "Mmmm" or something similar. Anyway, we went off for a walk to town that morning and while she went somewhere or other I walked up to the bank. Outside the bank was a pen on the ground - a perfect silver coloured pen. I slipped it into my pocket and walked on. There was no sign that it belonged to anyone. 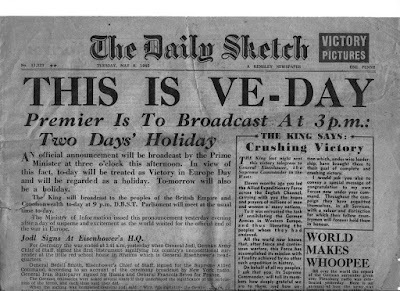 The next day, walking again, we were turning into our road and there at the side was another silver coloured pen - and it wrote perfectly. "My guardian angel is looking after my needs," I said. A similar, "Mmmm" was the reply. I was quite chuffed with my two pens. That same afternoon a neighbour asked me if I could help him with his new computer tablet as he couldn't get the wi-fi working. Not that I'm an expert, far from it, but I went to his house to see what I could do. To cut it short, I managed to get his tablet working properly, after about an hour an a half. He was very pleased, so I went home. About an hour or so later the same neighbour knocked on the door and handed me a small package. He said it was for helping him. Inside were three new pens! So, from saying I wanted some pens I received five - just like I received five brooms in my other post I mentioned. Magic? It's certainly odd though, how a throw away statement can generate five pens (or five brooms!) or maybe five anything else. Coincidence, of course, but is it? Some will say there is no such thing. Again, strangely, I had been reading a book my friend's wife had given me about angels ... okay, I haven't gone all religious, but the gist of the book is that we can ask angels to help with our needs, health and so on - but we have to say our requests out loud. No silent pleas and, according to the book, any prayers should also be said aloud. I'm not saying for one minute that angels supplied me with pens, and brooms but there does seem to be an underlying 'power' whereby we can influence our lives for the better. That's all I'll say ... before the men in white coats arrive. You never know, ask for something and you might just get it - but don't dwell on what you don't want because you might just as easily get that as well. P.S. My photo only shows four pens - as with my five brooms post - I gave one away. That sort of starts another conversation about giving and receiving - but another time, perhaps. A coincidence story which is also a lesson i.e. 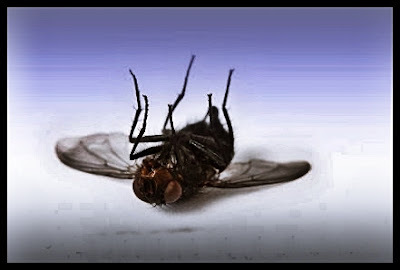 How to bring a dead fly back to life. My thanks to JC for this much needed information! "A few years years ago I had just watched a David Blaine video where he picked up a dead fly and brought it back to life, in a public park, stunning some onlookers. I did some reading on the web and found the secret. Apparently, if a fly is chilled, it will go into a kind of stasis, and if you re-warm it, it will come to 'life'. He had simply stashed a very cold fly on a public drinking fountain, quickly found his audience members, and used the warmth of his hand to reanimate the fly. I thought this was cool, because I read an awful lot, and I had never heard of this fact about flies before, and I like learning new things like that. So, immediately after watching the video, I went to the fridge to get a drink. I opened the fridge more quickly than I usually do, making a vortice of air. From the top shelf of the fridge, a small black speck was sucked out of the fridge by the air, landing on the floor. It looked like an unremarkable crumb or bit of food about half the size of a raisin. It fell directly down, aided only by gravity. I'm kind of fastidious, so I leaned over to pick it up. It was a housefly, seemingly dead. I looked at it for about three seconds - then it reanimated and flew up into the air! Upon learning that chilled flies look dead and can reanimate when warmed, I immediately saw it happen, in a very coincidental way." Here's a story I received recently. I guess you could say it's coincidence or synchronicity, but it is also about following a feeling, premonition or maybe you may say guidance. I have edited the story slightly, but the meaning and content are the same. Over the past year I have lost several people, but the most important were Thomas Joseph Williams (surrogate father) and his son Daniel Adam Williams. Danny was my closest friend from the age of 10 till he was killed in a horrible accident in July 2016. He was two weeks away from his 33rd birthday. On his birthday, July 27th, I left work via my normal route home. About a mile into my trip I had an urge to take a side road - that wasn't a shortcut - and one I had never been on previously. I turned, went down another mile or so, and there was a small cemetery on the left. I felt compelled to stop for some reason. I'm a rock-hound and love searching for arrowheads. As soon as I stepped out I saw this brilliant raw piece of white and purple agate. A rare find for me. I walked from headstone to headstone until I came to the last one... ADA VIRGINIA WILLIAMS (I interpreted this to A DANIEL.ADAM WILLIAMS). Her headstone was the only Williams, and was the only one made from the same stone as I had just found. The stone now resides on my mantelpiece. The next day I researched Ada Williams and found that her maiden name was Thomas (the first name of my surrogate father!) - Ada Virginia Thomas Williams ... Thank you ma'am. 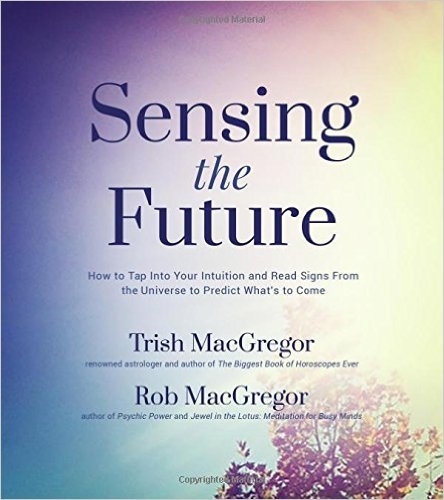 In Sensing the Future, well-known paranormal experts and authors Trish and Rob MacGregor unravel the mystery around precognition to help readers develop their psychic abilities. 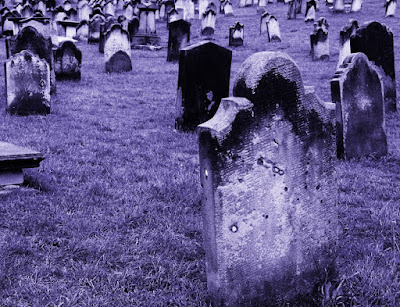 Precognition is one of the least understood but most commonly occurring psychic experiences. At one time or another, most people have had minor experiences with synchronicity or having a feeling about a future event that came true, but few understand how it happened or how to do it again. With Sensing the Future, readers learn to enhance this innate power to benefit their lives. Trish and Rob provide tips and simple ways to coax answers to your life questions out of your dreams, and how to increase awareness of the inner realm in everyday life. 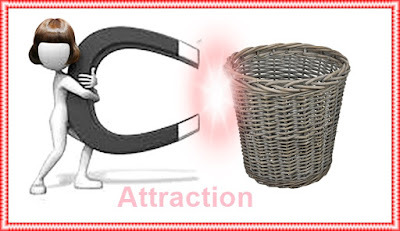 They also explain the most common methods for future prediction - astrology, the tarot, numerology and stichomacy. Along the way, Trish and Rob give hundreds of examples from history when people predicted the future, from scientists to novelists and spiritual leaders, as well as personal accounts from their own experiences and those of friends and family. An important question many wonder after a precognitive event is whether our lives are truly governed by free will or destiny. If you saw the future and reacted, did you change the future through your own free will? Or was it destiny? If you're one of the curious seeking an answer, find out for yourself in Sensing the Future. The photo above is of the Men-an-Tol stones in Cornwall, sometimes referred to as the Crick Stone or the Devil's Eye. They are said to have magical properties. Some say they have a fairy or pixie guardian who can make miraculous cures. In one case a changeling baby was put through the hole in the stone in order for the mother to get her real child back. Evil pixies had exchanged her child, and the ancient stones were able to reverse their spell. Changeling babies are often mentioned in ancient tales. They are typically described as being the offspring of a fairy, elf or other legendary creature that has been secretly left in the place of a human child. A changeling may seem a fanciful idea but one was locked up in Cornwall's Bodmin Old Prison in the 1600s. Her name was Anne Jeffries and she was born in St Teath, Cornwall in 1626. Being a supposed changeling she had legendary healing powers - and this is why she was locked up in prison! Ann Jeffries was kept in Solitary Confinement for six months, and not given any food. The strange thing is, she was not affected by this in any way. Her health and weight were maintained She insisted that she was fed and cared for by the fairies in her cell at night. In the Year 1645, (she then being nineteen Years old) she being one day knitting in the Garden, there came over the Garden-hedge to her (as she affirmed) six Persons of a small Stature, all clothed in green, which she called d'Fairies: upon which she was so frighted, that she fell into a kind of a Convulsion-fit: But when found in this Condition, we brought her into the House, and put her to bed, and took great Care of her. As soon as she recovered out of her Fit, she cries out, "They are just gone out of the Window; they are just gone out of the Window; do you not see them?" Source: The letter was from a Moses Pitt to the Right Reverend Father, Dr. Edward Fowler, Lord Bishop of Gloucester. Okay, got side tracked! 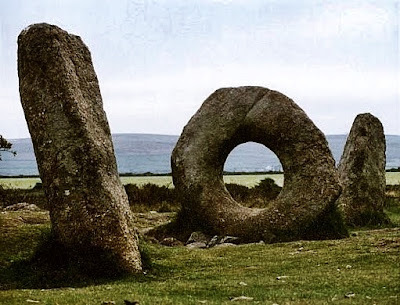 Lets get back to the Men-an-Tol stones. 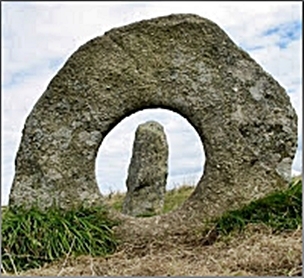 Men-an-Tol means, in the Cornish language, 'stone and hole' which very much describes what it is, as can be seen from the photo. The stones are believed to be from the Bronze age and, if this is correct, would mean they are over 3500 years old. As to what they actually are or signify is debatable. They may once have been part of a circle of stones - which would have given it a ritual significance - or alternatively they could have been part of a burial chamber - the hole being for access. These ancient stones have much folklore attached to them and are said to have a fairy or piskie guardian who can carry out various cures. With the obvious feminine symbolism it is claimed that if, at a full moon, a woman passes through the hole backwards seven times she will become pregnant. Men-an-Tor is said to heal many ills. It was famous in olden times for curing scrofula (lymphatic tuberculosis) and rickets in children. The children were passed naked three times (or some say nine) through the hole to effect the cure. Adults can gain relief from bad backs by crawling through the opening nine times. Radiation levels around the inside edges of the hole are said to be nearly twice that found in the background environment, maybe this has some significance. The stones have been used for telling the future. In 1856 Robert Hunt wrote that the holed stone could answer any question. Two brass pins would be laid crosswise on top of each other on the stone and would move by themselves, dependent of the question asked. Rituals may also have once been taken place here, with the hole aligning to other ancient sites, or as a window into other worlds or dimensions. It has also been suggested that passing through the stone could have signified a ritual re-birthing process, perhaps performed as a rite of passage or to ensure fertility. Whatever mysteries the stones hold, it is a magical place. A short coincidence story, with thanks, from Nick. My friend and I were sitting in a park having a smoke on a bench. 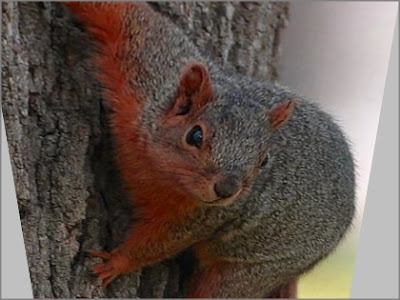 We were talking about a television program we had seen, in which a squirrel had to decide if it was going to get eaten by a jungle snake or jump out a a tree from high up in the branches. The squirrel jumped and I brought up the question to my pal: "Would the squirrel have died?" Literally 15 seconds later a squirrel fell out of the tall tree, we were sitting under, and ran off. I guess our question was answered! Is Enjoying Life Only A Delusion?